When it comes to Japan, it’s commonplace to see a lot of drivel and preconceptions pushed as fact by ill-informed Western media, particularly when it comes to stories about technology (hello Wired!) and how it is used there. As a specialist Japan journalist, it was, therefore, a pleasure to read in the Sydney Morning Herald about the very real reasons for Japan’s growing PC-literacy problem. There’s no great mystery behind the reason why the proportion of Japanese people in their 20s using a PC to get online dropped from almost a quarter in 2000 to just 11.9% last year – put simply, the lure of the mobile phone is to blame. 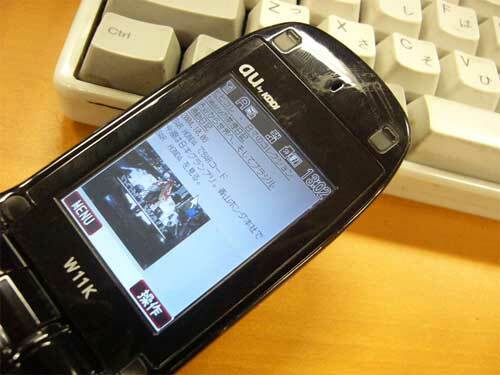 The increasing availability of mobile versions of popular sites like Yahoo (Japan’s search engine of choice) and Mixi (a social-networking site without peer), combined with the fact that all mobiles have email addresses, means that there’s very little need for most people to learn how to use a computer for everyday use. Throw in the alien nature of the QWERTY keyboard and Japan has a surprisingly small PC user base. Although complex societal structural problems are also at play in the job market, the inability of most (not just many) young Japanese people to use a computer results in them being funneled en masse into temporary part-time work, rather than the traditional office jobs-for-life their parents are likely to have. Clearly, the convenience of new technology sometimes has its downside.